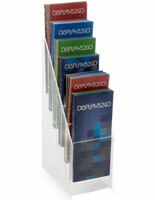 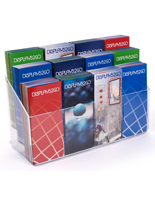 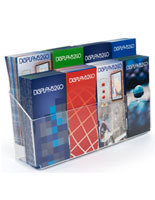 This tiered literature holder with 8 pockets is able to display a large amount of brochures in a compact space. 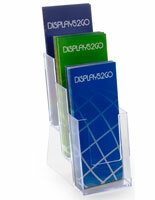 The clear plastic stand is a countertop unit with 4 levels each with 2 pockets for pamphlets. 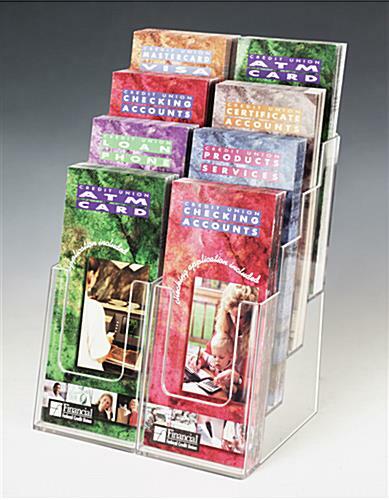 The literature holder with molded plastic construction is more affordable than acrylic models and is designed for businesses on a budget. 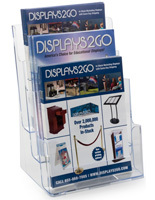 The clear plastic display is able to easily showcase the brochure titles in the stand for customers to see the theme of the pamphlet before choosing it. 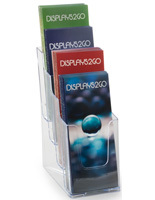 The holder is designed to sit on countertops so that it is at the perfect level for client and customers to see the information. 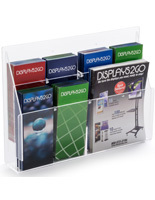 The slots of the rack are 1.5” deep and so will store many pieces for less refilling. 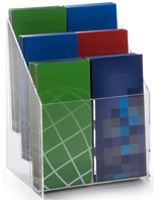 8.3" x 14.5" x 6.0"